InChorus – A large contemporary choir of all ages from Peebles. It has made a name for itself by producing consistently high quality musical performances and videos, filling concert halls and travelling extensively to festivals and events. In this, its 10th birthday year, the choir has had a very full programme which included a very successful performance trip to Barcelona. However, InChorus members remain happiest performing close to home and are delighted to have the chance to visit Dalkeith to be part of Restoration Yard’s Magical Christmas. 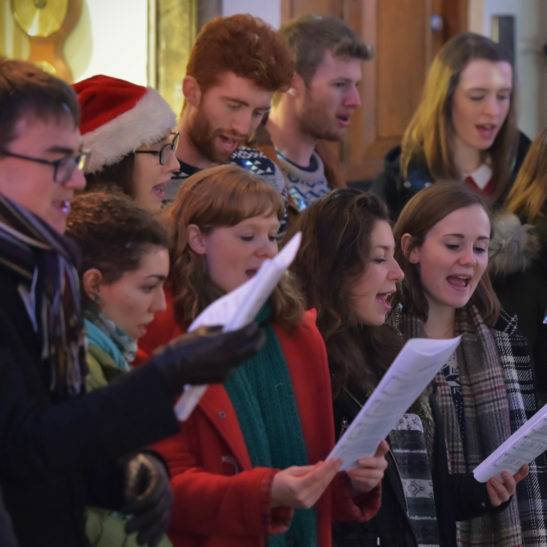 The Dalkeith Singers – the community choir for Dalkeith and surrounding areas – will perform excerpts from their Christmas programme “Carols by Candlelight”. Donations will be taken for Children’s Hospice Association Scotland (CHAS). You can find out more about The Dalkeith Singers on their Facebook page, Twitter page or website.